I may look the same. Same body. Same life. Nothing is real anymore. Nothing matters. Did you choose to up and go? Did no one tell you how you would be loved and kissed? Did no one tell you how much you would be missed? My little unborn non-existent baby. No one told me, of this waiting, wanting. But what of a mothers love when that mother does not yet exist? 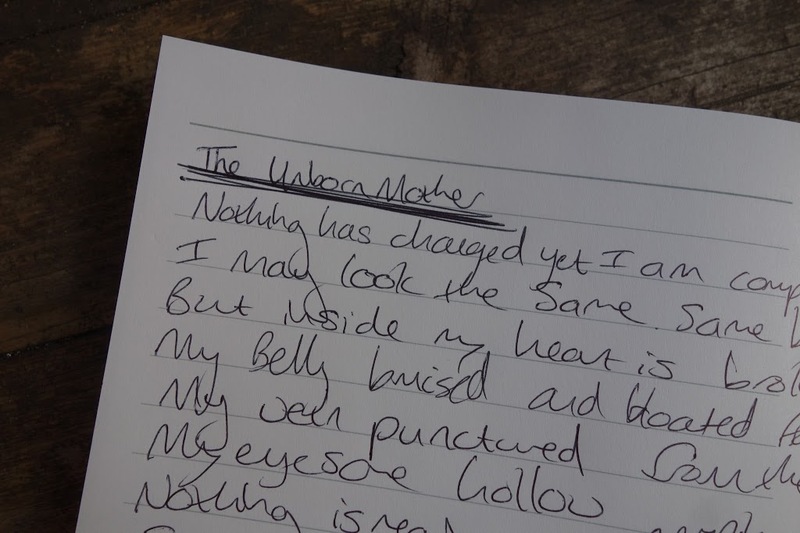 The unborn mother. Waiting. Wanting. Nothing has changed yet I am completely different. Nothing matters, their lives go on. At what point of loss is it acceptable to grieve for you? And if you only ever existed in my mind? Does that mean I cannot grieve for the you that never was? No booze, no blue cheese, no horseriding, skydiving, saunas! Would they tell an alcoholic not to think about drink? But not just yet, let me take a moment to say goodbye. I wrote this last year after my second stimulated IUI fail. A year on and I’ve just started an IVF cycle and I can truly say nothing has changed, I am still not a mother, I still live in the same house, am married to the same man, yet I am completely different. Mindfulness and the other mind body techniques I have been studying are allowing me to face this cycle with a strength I did not possess last year. I am not saying that I’m not still vulnerable, angry, upset, but instead of these being my only emotions I can allow myself to step back and take each day, each injection as it comes. I left it far too long before seeking help and really hit rock bottom before getting the support I desperately needed. My hope is that you find Embrace Fertility and really make use of all of the support available before getting as low as I did. Check out this blog “How can I support you?” for all of the support available via Embrace Fertility. How do you voice your deepest feelings? Leave a comment below or come and join the conversation within our fertility support community. Hey there, I came across your post on a forum and it brought tears to my eyes because I too am an unborn mother and no one seems to understand my pain. I was thinking of having a candle ceremony to tell my nonexistant baby out there that I’m waiting for her and also to grieve that I’m not yet a mom. They all say, relax and you’ll get pregnant but how can you? You put what I have in my heart to words and I’m grateful. You acknowledged the millions of unborn mommys out there who are aching to feel that baby in their arms. Sending you lots of love and hope.